This is part of our series on the Sexiest Scientists Alive.A buzzing bee is not always something to swat at. 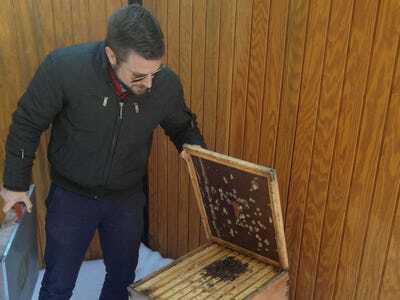 Even though 30-year-old Noah Wilson-Rich was afraid of every creepy-crawly passing by when he was younger, he is now a scientist who studies bees and bee diseases. Bees are important not only because they pollinate flowers and crops, but also because they produce honey for our teas and beeswax, an ingredient found in products like lip balm, hand lotion and furniture polish. 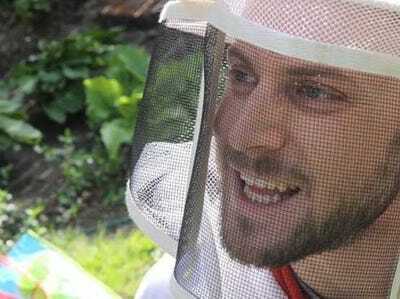 Wilson-Rich, who received his Ph.D. from Tufts University, founded Boston-based Best Bees Company in 2010. The company supports people who want to own and care for their own beehive. 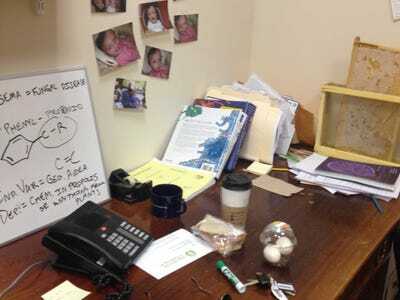 The scientist snapped some photos and explained his typical day at work. Wake up time is around 7 a.m., give or take a few snooze button smacks. I organise my day during my first cup of coffee. 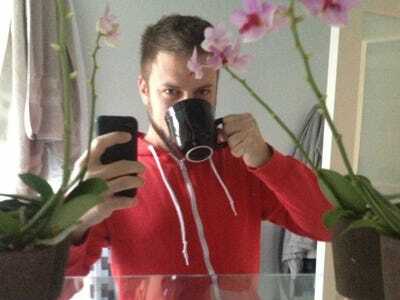 Today is Valentine's Day, so I'm wearing my red hoodie while conspiring how to balance my two jobs and my relationship on this special — and busy — day. By the time I arrive at the Best Bees Company Urban Beekeeping Laboratory around 9 a.m., two of our fabulous interns are already hard at work processing beeswax. Peggie dePasquale (left) is a student at Simmons College in Boston and Alia Marinone (right) is a student at Lesley University in Cambridge. 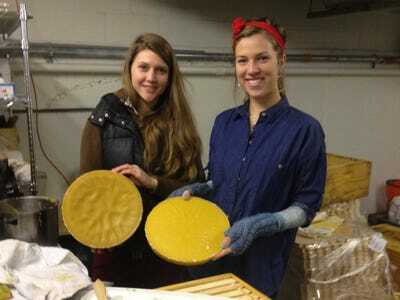 Peggie and Alia begin a new batch of beeswax for purification. Beeswax can be used to make many products, like lip balm, hand lotion, furniture polish, and much more! After checking in with our interns (who are doing terrific work! 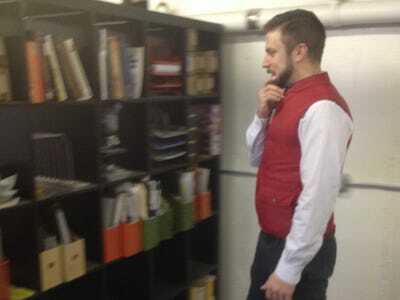 ), I move into the research area. My job at Best Bees is to plan new experiments and analyse data daily. Peggie tries on a pith helmet to test the fit, and shows off a green box, one of our popular colours in our 2012 season. Before we go, we need to finish bottling the last bits of honey from our winter harvest. A winter harvest is a parting gift from last year's bees who didn't make it through the winter, but had plenty of food (honey) left in their hive. A sad, but sweet thing, for sure. 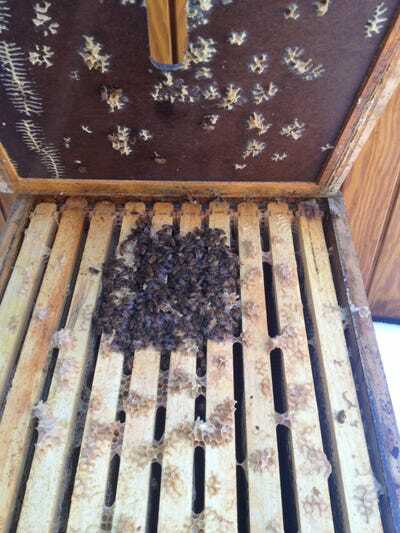 I lift the hive cover to discover that this hive is thriving! 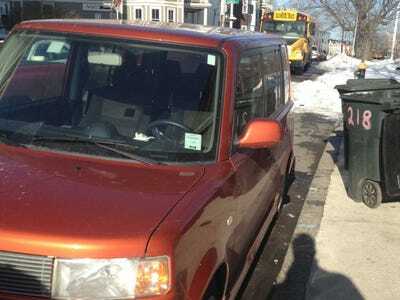 These Boston bees stay warm in the winter by cuddling together. They eat honey all winter long to survive. I do those things, too! It's 11 a.m., and my office hours have begun at school. 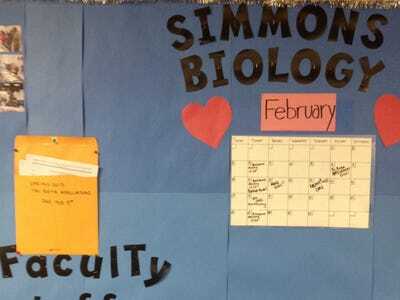 I am a full-time faculty member in the Biology Department at Simmons College. 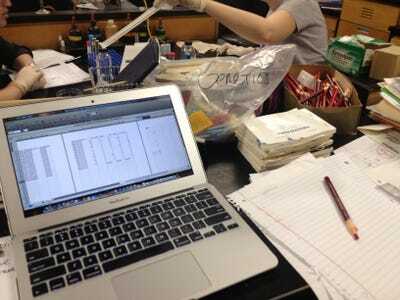 This semester, I teach microbiology to 92 students, as well as two labs with 18 students. I teach on Tuesday and Thursday afternoons. 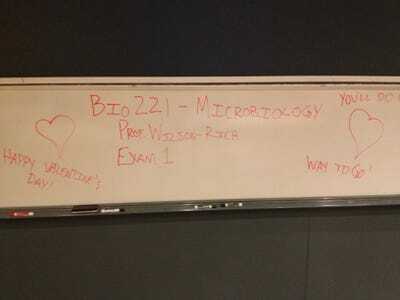 I gave the first exam of the semester to my microbiology students. I hope they all rocked it! My Simmons College lab students hard at work! By 5:30 p.m., I'm back in my office, emailing some more, and feeling exhausted. The Simmons College School of Management building rooftop (behind me) could be home to a new honey bee hive as soon as next month, if the administration grants final approval! 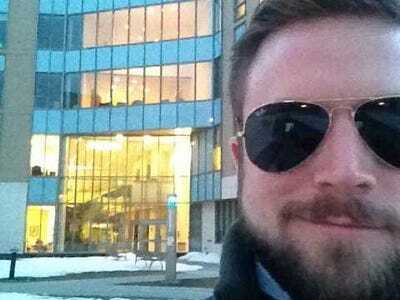 See our full list of sexiest scientists.